The United Synagogue is the largest synagogue movement in Europe. Founded in 1870 today it comprises 62 local communities supported by a central office. 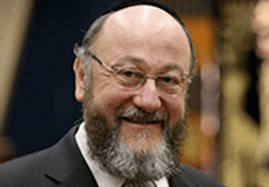 The Chief Rabbi of the United Hebrew Congregations of Great Britain and the Commonwealth, Chief Rabbi Mirvis, is the spiritual head of our communities. 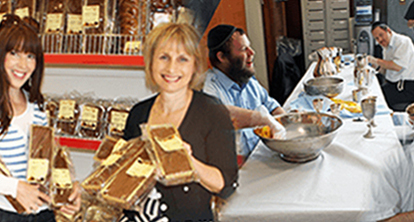 Inspired Jews: Jewish men, women and children, moving forward on their Jewish journey, actively engaged with a Judaism that they love and which plays a positive, central part of their identity. With enriched lives: The enrichment of people's lives is a continuing result of their engagement with, and growth in, their Jewish identity, learning and practice. Passing our heritage on to future generations: The continuity of the Jewish people. To engage members: The US is a membership organisation. Its mission is based upon actively engaging members, both individually, as families and as members of vibrant local Jewish communities. Mainstream: The US is at the heart of the UK Jewish community. Its membership makes up the single largest group of synagogue affiliation. Orthodox Jewish: The US is committed to Judaism that is a continuation of the normative orthodox halachic process built on an unbroken chain that connects the Jews of today with the Torah given by God to Moses and the Jewish people at Mount Sinai. 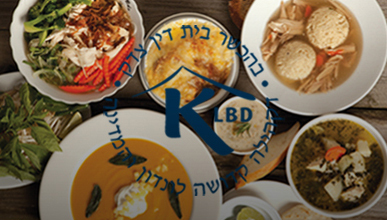 Living: Judaism should be an active part of people's lives. The US supports Jewish values and practice, not merely as a passive academic pursuit, but as a positive and active part of people's lives. Learning: Our heritage rests on Jewish learning which flows from the endless depth and wisdom of the Torah, generations of Rabbis and Jewish thinkers. 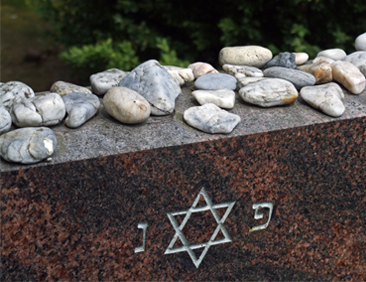 Caring: A commitment to the welfare of others is a core concern of Judaism. Both central and local initiatives exist to ensure that isolated, vulnerable and disadvantaged members of our community and wider society are supported by US members. Authentic: An unbroken chain of Jewish tradition built upon a commitment to Orthodox halacha. Inclusive: The maximal inclusion in a non-judgemental way of every Jew irrespective of their level of Jewish observance. The US is built upon respect of, and responsibility for, one another. Modern: Judaism is built upon the eternal Torah; as relevant today as at any other time, it is fully engaged with the modern world in all areas of life. The US has a Zionist commitment to strengthening its members' bond with the land and state of Israel; a central feature in our beliefs and prayers. Torah Judaism: The written and oral Torah is the God-given source of our aspirations and obligations as Jews.